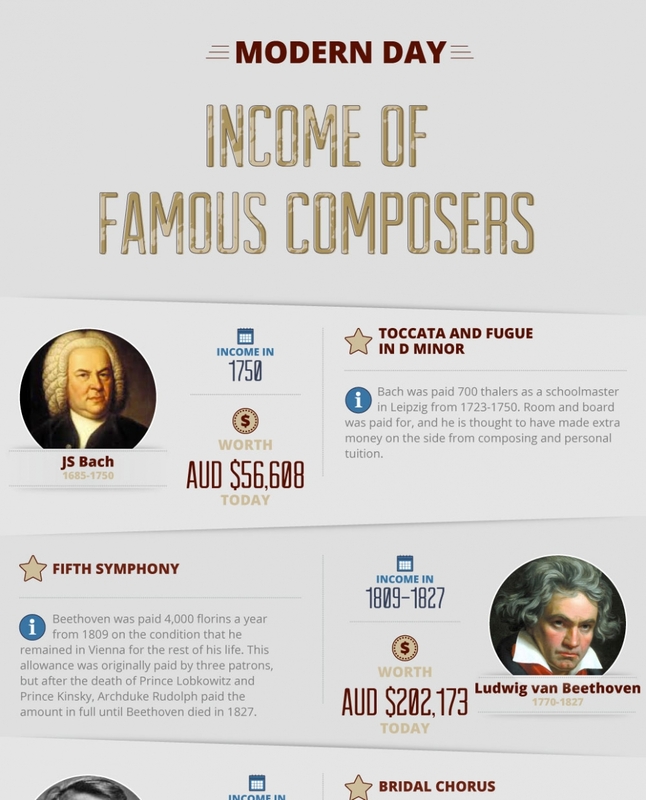 Do you make more money than Mozart? 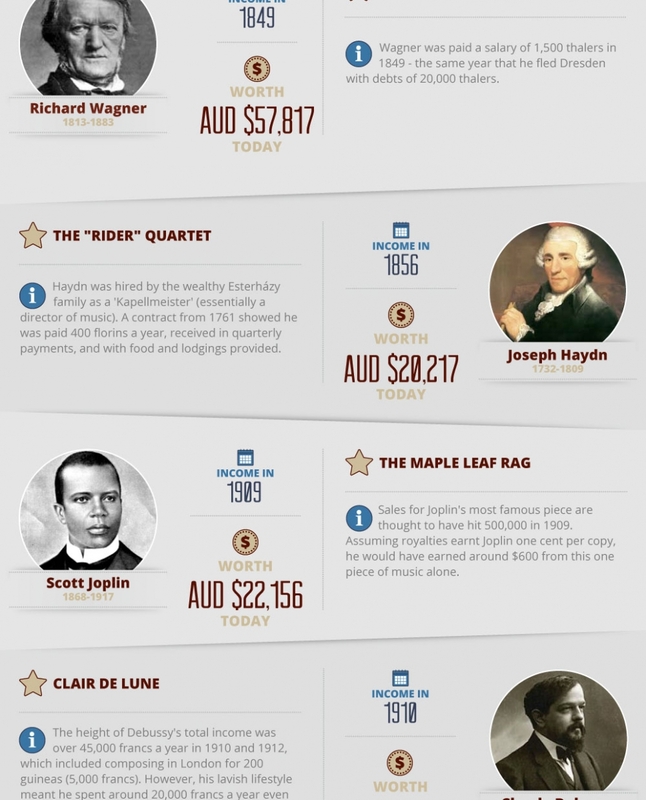 An infographic look at what some of history’s most famous composers would be making in today’s money. 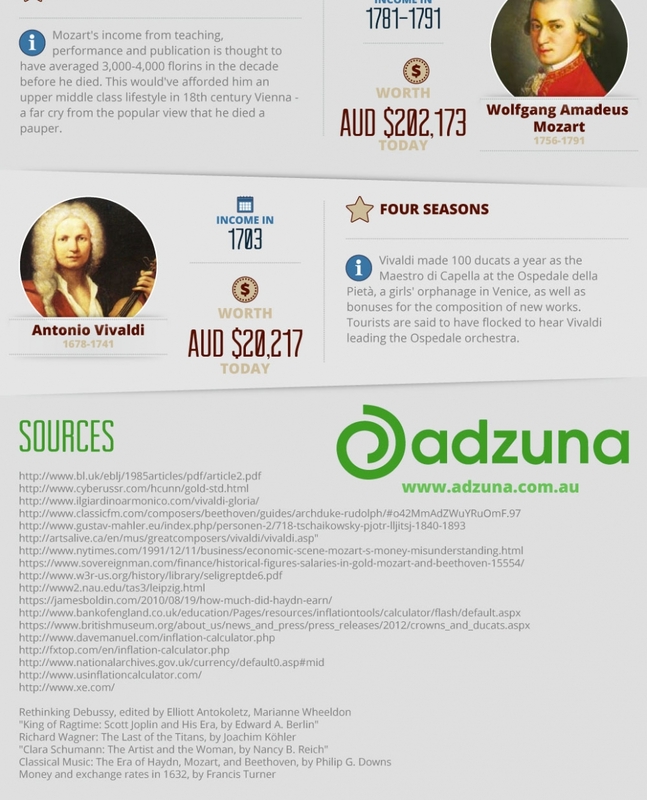 Recently Adzuna explored what the annual salary of some of history’s most famous scientists would be if they were being paid today. As it was so much fun they decided to revisit the topic, but instead took a look at some of the most iconic composers from Europe (and one from America). Researchers at Georgia Tech have used artificial intelligence and deep learning technology to teach a robot to compose. 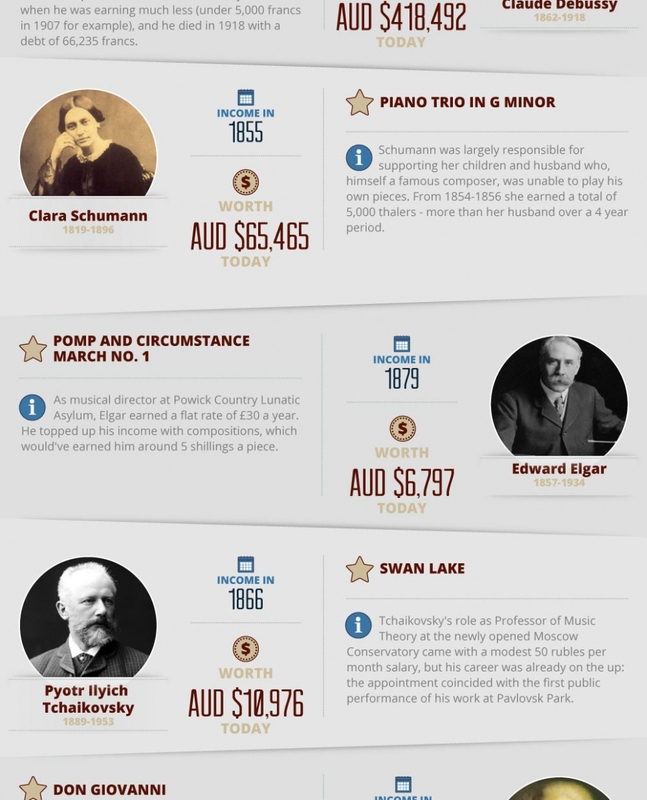 The Australian composer and publisher shares the tricks of his trade. Some artists get employment contracts allowing them to perform and earn doing what they love, while enjoying the benefits (and challenges) that come with being an employee. But for most professional artists, there are the pleasures of being a freelancer, sole-trader or the director of a business. When you’re starting out on your career as a creative professional, it’s important to know your Bs from the Cs and have an understanding of your market value. Whatever you want to do is your business. And believe me, it IS a business. Your professional activities are the creation, promotion and communication of content or services delivered from your art form, whether that be composition, historically informed performance, conducting, acting, dancing, stand-up comedy, contortionism – whatever you’ve chosen as your discipline. What’s crucial is that you think of your professional life as an artist in corporate terms, to understand the value and marketability of the skills you’re offering. Here’s business-speak 1-0-1: Your content can be an artistic “product” intended for the general public (a business to consumer relationship), or a product meant for a business-to-business transaction, otherwise known as “B to B”…. When does artistic borrowing amount to theft? Is imitation the sincerest form of flattery or might it just lead to a lawsuit?